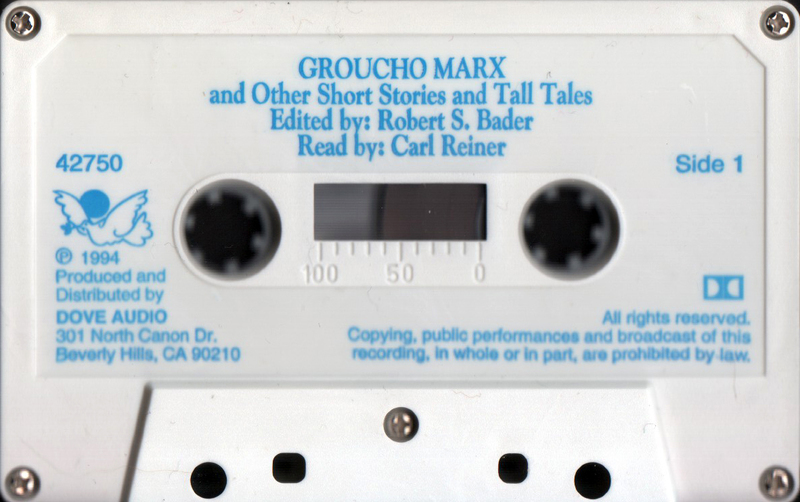 In addition to being a comic genius of stage, film, radio, and television, Groucho Marx was also a gifted writer - the author of a play, 2 screenplays, 7 books and over 100 articles and essays. 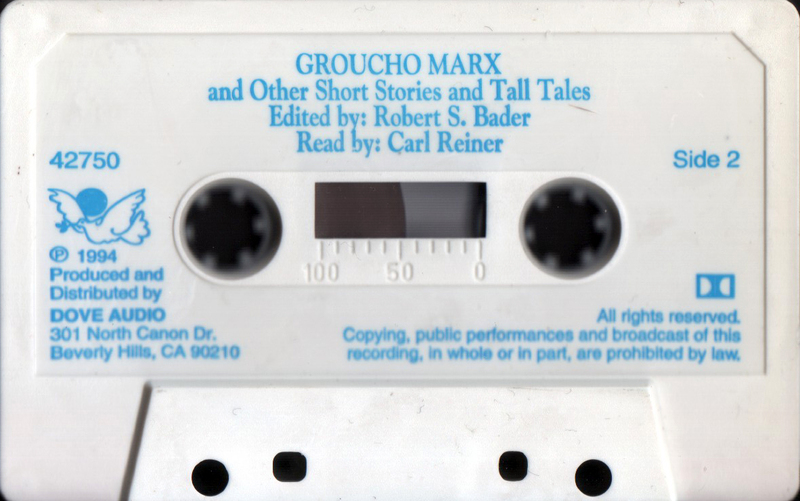 This collection includes the best of Marx's short comic pieces, originally written for The New York Times, The Saturday Evening Post, and other top publications. 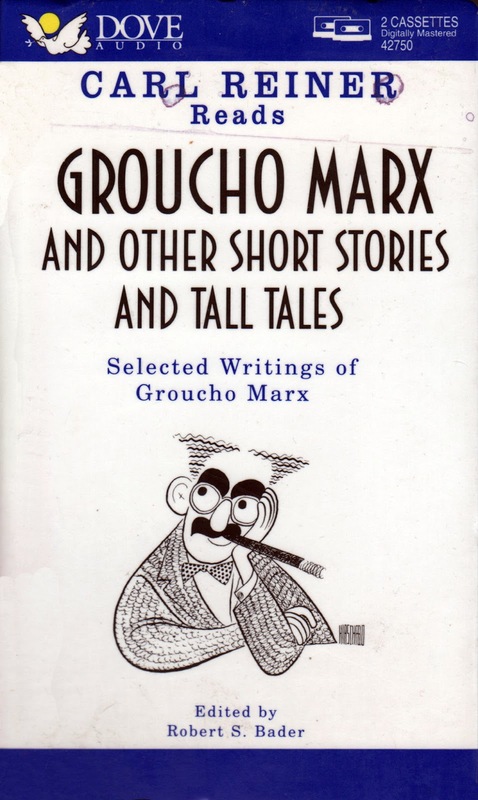 These essays contain the familiar irreverence, wordplay, and dash of self-deprecation Marx is famous for, and they offer a hilarious and nostalgic trip through the 20th century for anyone who cares to come along. 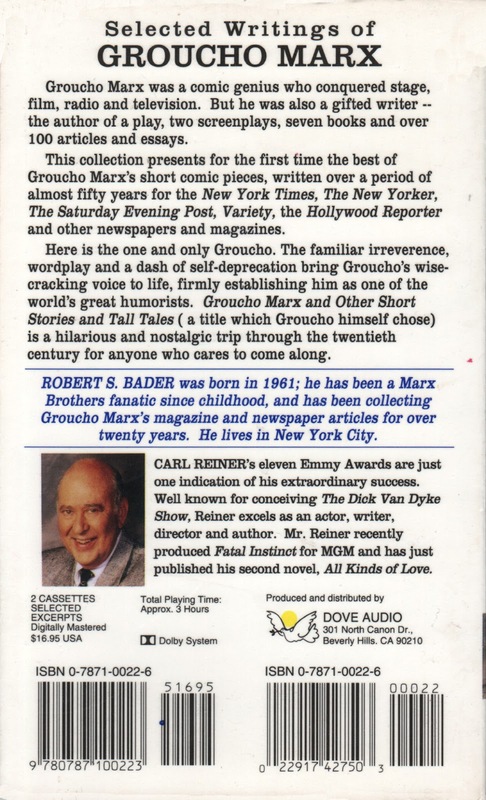 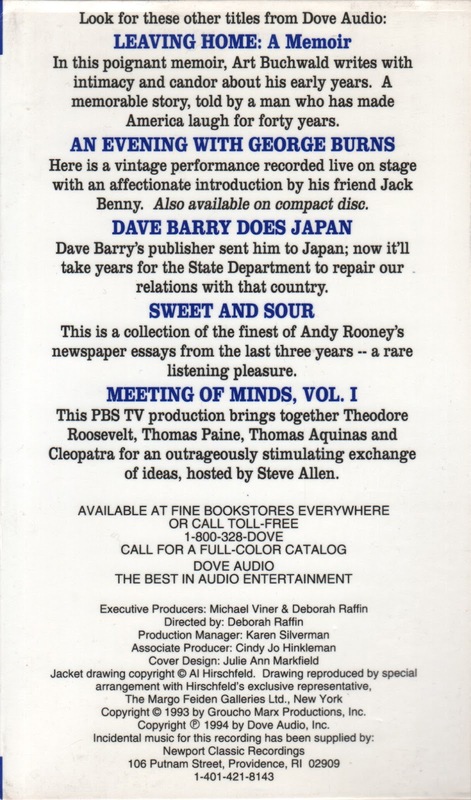 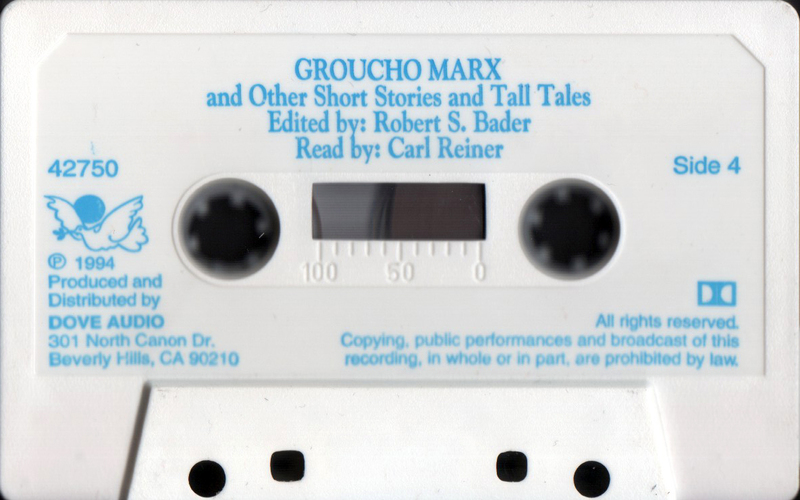 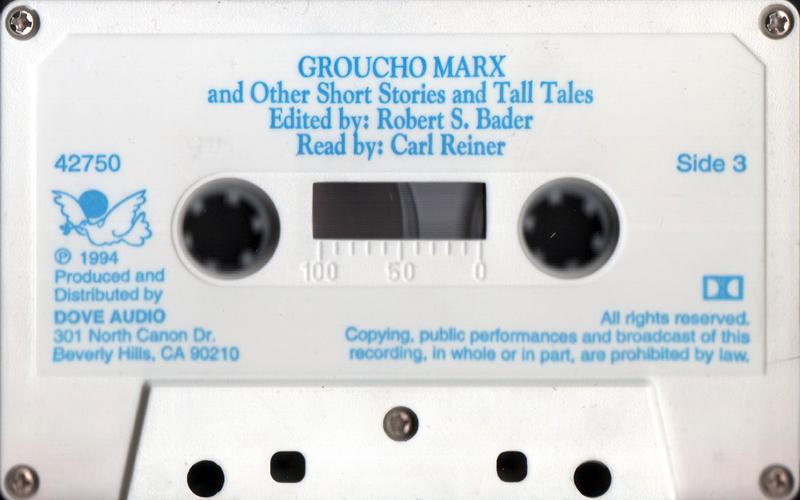 0 comments on "Groucho Marx, Carl Reiner - Groucho Marx & Other Short Stories & Tall Tales Read By Carl Reiner (Audiobook) 1994"